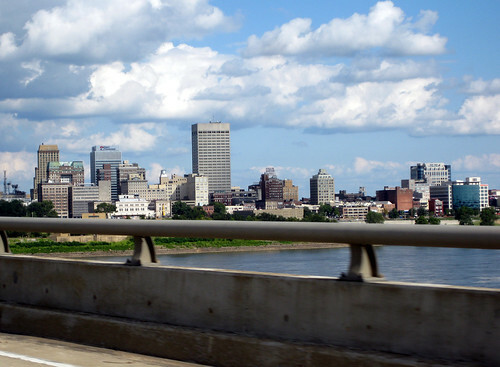 Memphis Skyline at 65 MPH (1), a photo by joespake on Flickr. Great angle for shooting the skyline. No place to stop.